Minnesota Rising: Apply today for a $1,000 Mini-Grant from Catalyst! Apply today for a $1,000 Mini-Grant from Catalyst! I recently had the opportunity to provide leadership development training to the Catalyst 2010-2011 Youth Board and was incredibly impressed by the thoughtfulness, passion, and energy of these young people who will no doubt create powerful change to bolster the health of their communities in the coming weeks and months ahead. What about you or any high schoolers you know? Do you all have something you want to change and an idea for how to make it happen? See details below for Catalyst's Activate: U Mini-Grants to make your plan a reality! Apply today for a $1,000 Grant from Catalyst! Catalyst is excited to offer new Mini Training Grants to support youth involvement in nutrition and physical activity initiatives. Since Catalyst is about Minnesota teens in action, we want to give groups of motivated teens up to $1,000 to take charge in their schools and community. 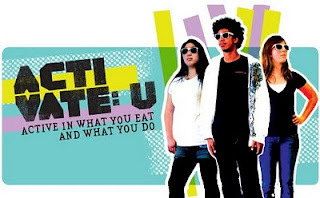 Catalyst "Activate: U" Mini Training Grants will be awarded to applicants willing to take a stand, make a change in their community and have a lot of fun at the same time. The mini-grants will be made available on a first come, first serve basis. Make sure to submit your completed application as soon as possible in order to be considered for this mini-grant. Visit the Catalyst website for more details and to download the Mini-Grant Application or the Activism Guide. Why you should attend the Un/Conference.